Of the more than 500 chemicals in marijuana, delta-9-tetrahydrocannabinol, known as THC, is responsible for many of the drug’s psychotropic (mind-altering) effects. It’s this chemical that distorts how the mind perceives the world. In other words, it is what makes you high. Read 10 things you can learn about marijuana. The amount of THC in marijuana has increased over the past few decades. In the early 1990s, the average THC content in marijuana was less than 4 percent. It is now more than 12 percent, and much higher in some products such as oils and other extracts (see below). Scientists do not yet know what this increase in potency means for a person’s health. Some people adjust how they consume marijuana (by smoking or eating less) to compensate for the greater potency. There have been reports of people seeking help in emergency rooms with symptoms, including nervousness, shaking and psychosis (having false thoughts or seeing or hearing things that aren't there), after consuming high concentrations of THC. Smoking extracts and resins from the marijuana plant with high levels of THC is on the rise. There are several forms of these extracts, such as hash oil, budder, wax, and shatter. These resins have 3 to 5 times more THC than the plant itself. Smoking or vaping it (also called dabbing) can deliver dangerous amounts of THC and has led some people to seek treatment in the emergency room. There have also been reports of people injured in fires and explosions caused by attempts to extract hash oil from marijuana leaves using butane (lighter fluid). Inhaling vapor using devices that pull the active ingredients (including THC) from the marijuana into the vapor. Some vaporizers use a marijuana liquid extract. drinking tea brewed with marijuana or eating food with marijuana cooked into it, sometimes called edibles—such as brownies, cookies, or candy. These extracts made from the marijuana plant should not be confused with “synthetic marijuana,” sometimes called “K2,” “Spice,” or “herbal incense.” These synthetic drugs are laboratory-made chemicals similar to THC that are sprayed onto plant materials to make it look like marijuana, but are often much stronger and very dangerous. Unlike marijuana, their use sometimes directly results in overdose deaths. 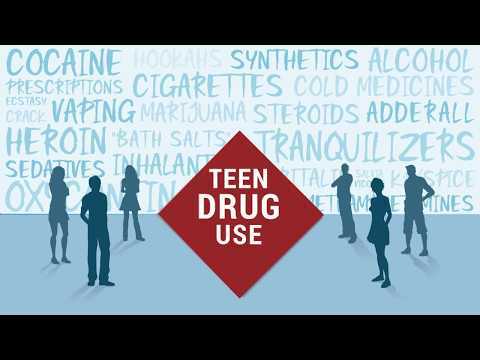 Learn more about "synthetic marijuana”. What happens to your brain when you use marijuana? All drugs change the way the brain works by changing the way nerve cells communicate. Nerve cells, called neurons, send messages to each other by releasing chemicals called neurotransmitters. These neurotransmitters attach to molecules on neurons called receptors. (Learn more about how neurotransmitters work.) Drugs affect this signaling process. When marijuana is smoked or vaporized, THC quickly passes from the lungs into the bloodstream, which carries it to organs throughout the body, including the brain. Its effects begin almost immediately and can last from 1 to 3 hours. This can affect decision making, concentration, and memory for days after use, especially in people who use marijuana regularly.1 If marijuana is consumed in foods or beverages, the effects of THC appear later—usually in 30 minutes to 1 hour—and may last for many hours. Some people consume more and more waiting for the “high” and end up in the emergency room with uncomfortable symptoms from too much THC. As it enters the brain, THC attaches to cells, or neurons, with specific kinds of receptors called cannabinoid receptors. Normally, these receptors are activated by chemicals similar to THC that occur naturally in the body. They are part of a communication network in the brain called the endocannabinoid system. This system is important in normal brain development and function. Most of the cannabinoid receptors are found in parts of the brain that influence pleasure, memory, thinking, concentration, sensory and time perception, and coordinated movement. Marijuana activates the endocannabinoid system, which causes the "high" and stimulates the release of dopamine in the brain's reward centers, reinforcing the behavior. Other effects include changes in perceptions and mood, lack of coordination, difficulty with thinking and problem solving, and disrupted learning and memory. 1 Crean RD, Crane NA, Mason BJ. An evidence based review of acute and long-term effects of cannabis use on executive cognitive functions. Journal of Addiction Medicine 2011;5:1-8. What happens to your body when you use marijuana? Mixing marijuana with alcohol can cause increased heart rate and blood pressure. It can also cause further slowing of the ability to think, solve problems, and react. Increased heart rate. When someone uses marijuana, the heart rate (normally 70 to 80 beats per minute)—may increase or even double, especially if other drugs are taken with the marijuana. This increases the risk of a heart attack. Respiratory (lung and breathing) problems. Smoke from marijuana irritates the lungs, and can cause a chronic cough—effects similar to those from regular cigarettes. While research has not found a strong association between marijuana and lung cancer, many people who smoke marijuana also smoke cigarettes, which do cause cancer. Increased risk for mental health problems. Marijuana use has been linked with depression and anxiety, as well as suicidal thoughts among teens. In addition, research suggests that smoking marijuana during the teen years might increase the risk for developing psychosis in people with a genetic risk for developing schizophrenia. Researchers are still studying the relationship between these mental health problems and marijuana use. 2 The National Academies of Sciences, Engineering, and Medicine, Health and Medicine Division, Board on Population Health and Public Health Practice, Committee on the Health Effects of Marijuana: An Evidence Review and Research Agenda. The Health Effects of Cannabis and Cannabinoids: The Current State of Evidence and Recommendations for Research. Washington, DC, January 12, 2017. Available at http://nationalacademies.org/hmd/Reports/2017/health-effects-of-cannabis-and-cannabinoids.aspx. Can you die if you use marijuana? There are generally no reports of people fatally overdosing (dying) on marijuana alone. However, people can feel some very uncomfortable side effects, especially when using marijuana with high THC levels. There are reports of people who use marijuana seeking treatment in emergency rooms, reporting unease and shaking, anxiety, paranoia, or hallucinations, and in rare cases, extreme psychotic reactions. Learn more about drug overdoses among youth. However, marijuana use can increase risks for accidents and injuries (impacts of drugged driving are discussed below). What are the other risks associated with marijuana use? Reduced school performance. Students who smoke marijuana tend to get lower grades and are more likely to drop out of high school than their peers who do not use. The effects of marijuana on attention, memory, and learning can last for days or weeks. Reduced life satisfaction. Research suggests that people who use marijuana regularly for a long time are less satisfied with their lives and have more problems with friends and family compared to people who do not use marijuana. Impaired driving. Marijuana affects a number of skills required for safe driving—alertness, concentration, coordination, and reaction time—so it’s not safe to drive high or to ride with someone using marijuana. Marijuana makes it hard to judge distances and react to signals and sounds on the road. High school seniors who smoke marijuana are 2 times more likely to receive a traffic ticket and 65% more likely to get into an accident than other teens.3 In 2017, 10.3% of 12th graders reported driving after using marijuana in the past two weeks.4 And combining marijuana with drinking even a small amount of alcohol greatly increases driving danger, more than either drug alone. Learn more about what happens when you mix marijuana and driving. Use of other drugs. Most young people who use marijuana do not go on to use other drugs. However, those who use are more likely to use other illegal drugs. It isn’t clear why some people go on to try other drugs, but researchers have a few theories. The human brain continues to develop into the early 20s. Exposure to addictive substances, including marijuana, may cause changes to the developing brain that make other drugs more appealing. In addition, someone who uses marijuana is more likely to be in contact with people who use and sell other drugs, increasing the risk for being encouraged or tempted to try them. Severe nausea and vomiting. Studies have shown that in rare cases, regular, long-term marijuana use can lead some people to have cycles of severe nausea, vomiting, and dehydration, sometimes requiring visits to the emergency room. For more information on the effects of marijuana, see NIDA’s Marijuana Research Report. 3 U.S. Department of Transportation. National Highway Traffic Safety Administration. Traffic Safety Facts. Drug Involvement of Fatally Injured Drivers. Washington, DC, November 2010. Available at: http://www-nrd.nhtsa.dot.gov/Pubs/811415.pdf. 4 Miech RA, Schulenberg JE, Johnston LD, et al. National adolescent drug trends in 2017: Findings released [Press release]. Ann Arbor, MI. December 2017. Available at: http://www.monitoringthefuture.org/. Yes, marijuana can be addictive---meaning they continue to use it despite negative consequences. What causes one person to become addicted to marijuana while another does not depends on many factors—including their family history (genetics), the age they start using, if they also use other drugs, their family and friend relationships, and if they take part in positive activities like school, after school clubs or or sports. More research needs to be done to determine if people who use marijuana for medical reasons are at the same risk for addiction as those who use it just to get high. Watch the Swiss Cheese Model of Drug Addiction and learn why some people who use drugs become addicted and others do not. These effects can last for several days to a few weeks after drug use is stopped. Relapse (returning to the drug after you’ve quit) is common during this period because people may crave the drug to relieve these symptoms. 5 Hasin DS, Saha TD, Kerridge BT, et al. Prevalence of Marijuana Use Disorders in the United States Between 2001-2002 and 2012-2013. JAMA Psychiatry. 2015;72(12):1235-1242. doi:10.1001/jamapsychiatry.2015.1858. 6 Winters KC, Lee C-YS. Likelihood of developing an alcohol and cannabis use disorder during youth: association with recent use and age. Drug Alcohol Depend. 2008;92(1-3):239-247. doi:10.1016/j.drugalcdep.2007.08.005. Marijuana is the most commonly used illicit drug in the United States by teens as well as adults. In 2009, it became more popular than smoking cigarettes but that is changing with the popularity of e-cigarettes. Recent public discussions about medical marijuana and the public debate over the drug’s legal status is leading to a reduced perception of harm among young people. In addition, some teens believe marijuana cannot be harmful because it is “natural.”7 But not all-natural plant substances are good for you—tobacco, cocaine, and heroin also come from plants. In addition, marijuana vaping, along with nicotine vaping, has increased this past year. Below is a chart showing the percentage of teens who say they use marijuana. 7 Miech RA, Schulenberg JE, Johnston LD, et al. National adolescent drug trends in 2017: Findings released [Press release]. Ann Arbor, MI. December 2017. Available at: http://www.monitoringthefuture.org/. THC: The cannabinoid that can make you “high”—THC—has some medicinal properties. Two laboratory-made versions of THC, nabilone and dronabinol, have been approved by the federal government to treat nausea, prevent sickness and vomiting from chemotherapy in cancer patients, and increase appetite in some patients with AIDS. CBD: Another chemical in marijuana with potential therapeutic effects is called cannabidiol, or CBD. CBD doesn’t have mind-altering effects and is being studied for its possible uses as medicine. For example, CBD oil has been approved as a possible treatment for seizures in children with some severe forms of epilepsy. THC and CBD: A medication with a combination of THC and CBD is available in several countries outside the United States as a mouth spray for treating pain or the symptoms of multiple sclerosis. It is important to remember that smoking marijuana can have side effects, making it difficult to develop as a medicine. For example, it can harm lung health, impair judgment, and affect memory. Side effects like this might outweigh its value as a medical treatment, especially for people who are not very sick. Another problem with smoking or eating marijuana plant material is that the ingredients can vary a lot from plant to plant, so it is difficult to get an exact dose. Until a medicine can be proven safe and effective, it will not be approved by the federal government. But researchers continue to extract and test the chemicals in marijuana to create safe medicines. A growing number of states have legalized the marijuana plant’s use for certain medical conditions, and a smaller number have voted to legalize it for recreational use. So, in some cases, federal and state marijuana laws conflict. It is illegal to grow, buy, sell, or carry marijuana under federal law. The federal government considers marijuana a Schedule I substance—having no medicinal uses and high risk for misuse. It is important to note that because of concerns over the possible harm to the developing teen brain, non-medical marijuana use by people under age 21 is against the law in all states. For more information, see Drug Facts—Is Marijuana Medicine? Dr. Nora Volkow explores why teens may be attracted to vaping – and what they are vaping. Marijuana use causes a response from the brain’s reward system. Dr. Volkow talks to parents in Harlem about how to talk to kids and recognize signs of drug use. It isn't pretty—see the ugly truth about how drug abuse can affect the body. Mind Matters is a series that explores the ways that different drugs affect your brain, body, and life. In this issue, we are going to talk about marijuana. Explores the latest research on marijuana, including the scope of marijuana use in the U.S., health consequences, its effects on everyday activities, and available treatments. Brochure, in question-and-answer format, provides parents with facts about marijuana and offers tips for talking with children about the drug and its potential harmful effects. Offers facts about marijuana, including how people use it, its effects on the brain and overall health, and treatment options. 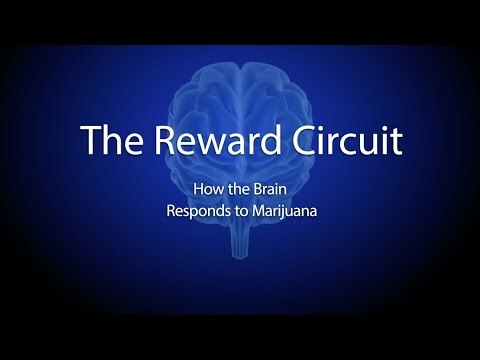 The first in a 5-part series, offers an understanding of the brain, how the reward center works, and what happens in the brain when a person uses cocaine, opiates (heroine), or marijuana. is it true that you can't get addicted to marijuana? Hi Grace Jones. It is possible that someone could become addicted to marijuana. If you are concerned that someone you know is addicted, you can get information below.If you want to ask about getting substance abuse or mental health treatment, call 1-800-662-HELP, 24/7. Or you can go to www.findtreatment.samhsa.gov/ to find information about treatment centers in your area. what are the main differences between medical marijuana vs recreational marijuana? Lessons and classroom activities on marijuana use and its effects. The National Institute on Drug Abuse Blog Team. "Marijuana." 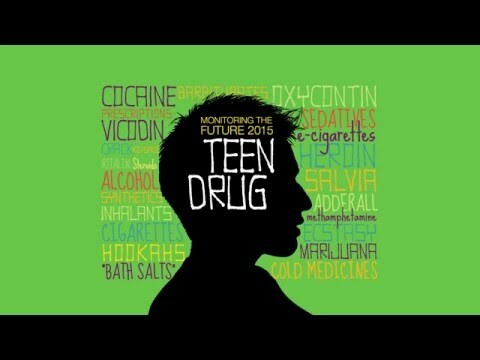 Drugs & Health Blog, , National Institute on Drug Abuse, https://teens.drugabuse.gov/drug-facts/marijuana. 1 in 7 teens report using marijuana in the past month. Share the facts about marijuana use. Download or order your copy today.